The right softness of pillow, a bathrobe, extra towels? Your wellbeing and your privacy are our top priority. Croissants for breakfast in your apartment, a constantly replenished refrigerator, a restaurant reservation, a visit to the opera or the football game ... just let us know what you would like. We respect your privacy and would like you to feel undisturbed in your apartment, which is why we offer a weekly cleaning service free of charge for stays of seven nights or more. You can, of course, book a more frequent cleaning service. Please refer to our "Services and prices" for an accurate overview. If you would like to have the refrigerator in your apartment stocked with items of your choice, an all-inclusive rate of 20 % per shop will apply (with a minimum charge of € 10). We are happy to get your shopping list 48h beforehand. Please order by 14:00 hours the previous day. Hand in your laundry and it will all be returned to you the following day - washed and ironed. A shirt, for instance, costs € 4.20 (you will find a full price list in the apartments). We like to surprise our guests with a home-baked cake each week. Our Guests have access to complimentary WiFi. If you arrive with young children, we will be happy to provide a high chair, travel cot or additional bed in our family-friendly apartments. Children under 15 can stay in the apartment free of charge. There are plenty of books in the apartment and our Sports House is available if you want a workout. Towels and bed linen are of course included in the rental price for the apartment. We are happy to provide bathrobes on request; in the White House they are already provided. If you need to do some washing during your stay, you can use our laundry room, which is also free of charge, and which has a washing machine, tumble dryer and iron. Dogs are very welcome, but please note that they are only allowed in selected apartments. Please let us know if you have an allergy. Please refer to "Services and prices" for an accurate overview of our range of extras. A charge of € 40 to € 60 per week (depending on the apartment size) applies to dogs. It is essential that you let us know if you are bringing a dog, since dogs are only allowed in selected apartments. A charge of € 30 per night applies if an additional guest is staying in your apartment (incl. camp bed, bedding, towels). This charge does not apply to children under 15. Prior notification is required in each case. ENJOY EXERCISE? THE SPORTS HOUSE IS READY AND WAITING! A view of the garden while working out will help you restore the balance in your life. Our Sports House with sauna is available if you want to improve your fitness or unwind. 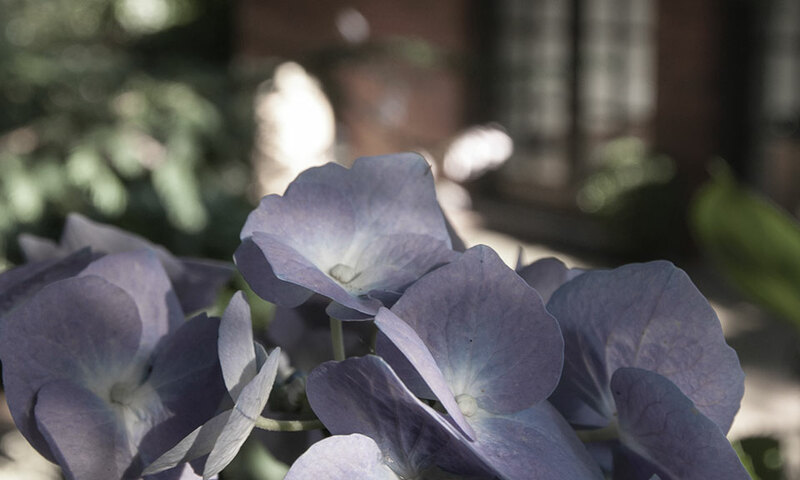 In the idyllic setting of the Ivy House garden you will find a treadmill, cross trainer, yoga mats, free-weights and a punch bag with boxing gloves. Water, towels and additional bathrobes are also provided for your use. The sauna is a traditional Finnish-style wooden sauna. It is large enough for up to four persons. 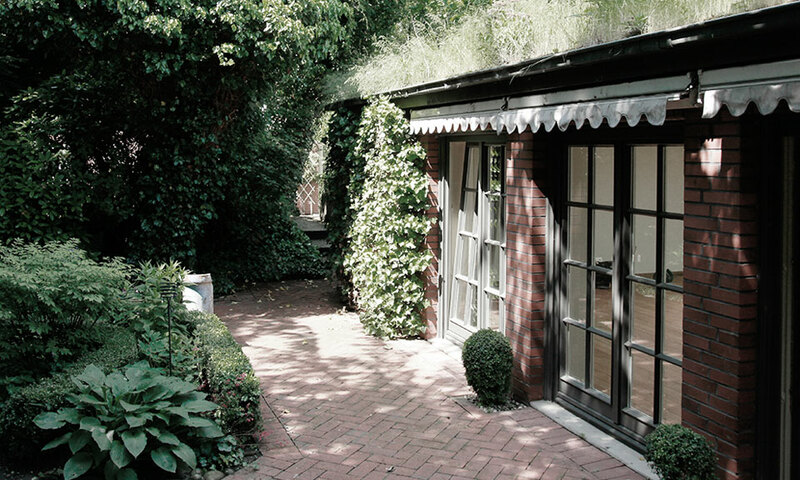 The garden of our apartment hotel has many secluded spots for relaxation. OPEN 24/7 - THE "VON DESKA HOUSE BAR"
The "HONESTY BAR", our house bar, is open 24/7 and can provide anything you might need for a quick snack or drink between meals, from chocolate to milk and muesli as well as pasta, wine and beer. Simply fill in the bar form listing the items you have taken and we will charge them direct to your apartment. The neighbourhood of Eppendorf where our serviced apartments are located boasts numerous shopping options as well as a large number of cafés, restaurants, studios, theatres and concert halls. Perhaps you would like a few ideas and suggestions to get the most out of your stay in Hamburg. If so, we would be very happy to help. The neo-classical mansion (1829) is a place of inspiration where entrepreneurs, academics and societies can network, develop new business ideas, create strategies and generally work together for their mutual benefit. All this is enriched by a carefully chosen programme of theatre, music and literature. Hamburg, the city of a thousand bridges. Discover the Alster and its many canals by canoe, pedalo or stand-up paddleboard. You will see Hamburg from a totally new perspective.